For all of you scientists who struggled in the field, attempting to carry out a gamma spectrum with three pieces of scientific equipment, and only two hands. 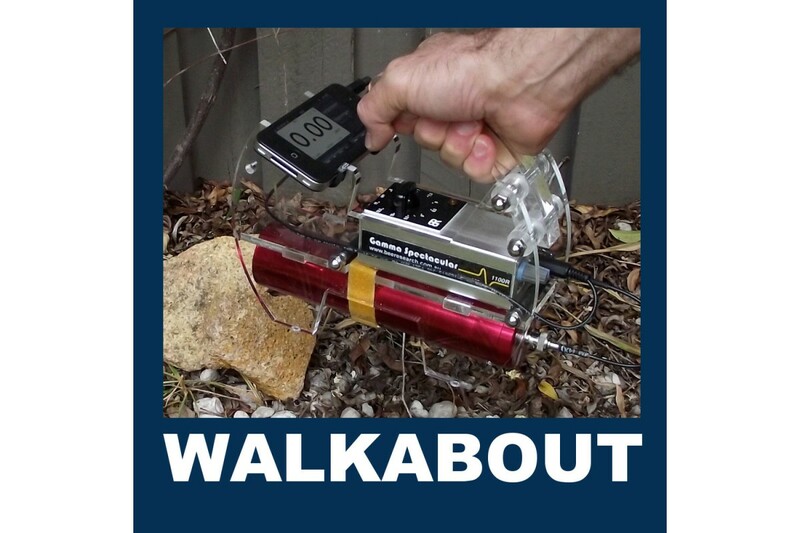 As I discovered myself, It's near impossible to juggle a laptop or iPhone, a driver and a detector, so something had to be invented! 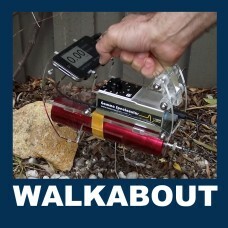 Well, here it is, the GS-WALKABOUT, a cute and practical way to take your scientific equipment into the field for research, weather you are carrying out land surveys or just looking for hot rocks this is the way to go. 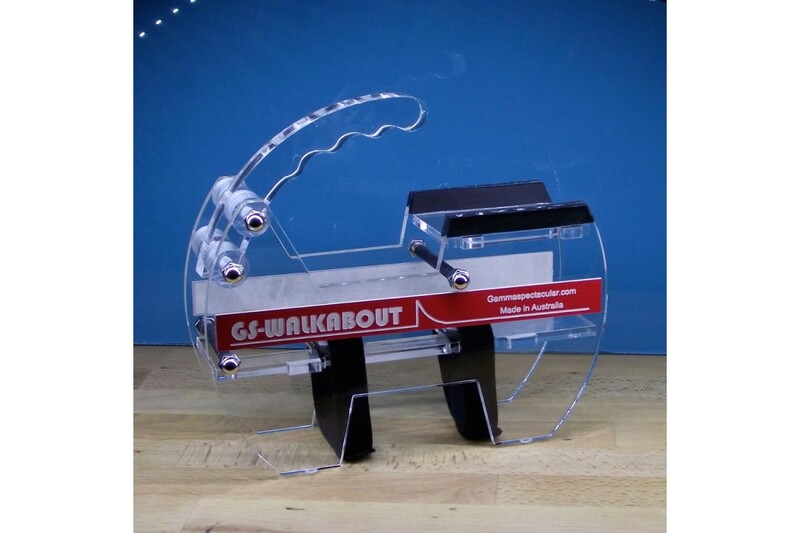 Made from sturdy 6 mm acrylic, the GS-WALKABOUT ships flat and assembles in seconds, to form an ergonomic hand held holder for your radiation detector. The GS-1100A simply slots into the holder and sits firmly in place, the radiation detector (up to 55 mm Ø) is held firmly under the unit with two velcro straps, and your iPhone slots securely to the front for perfect viewing. 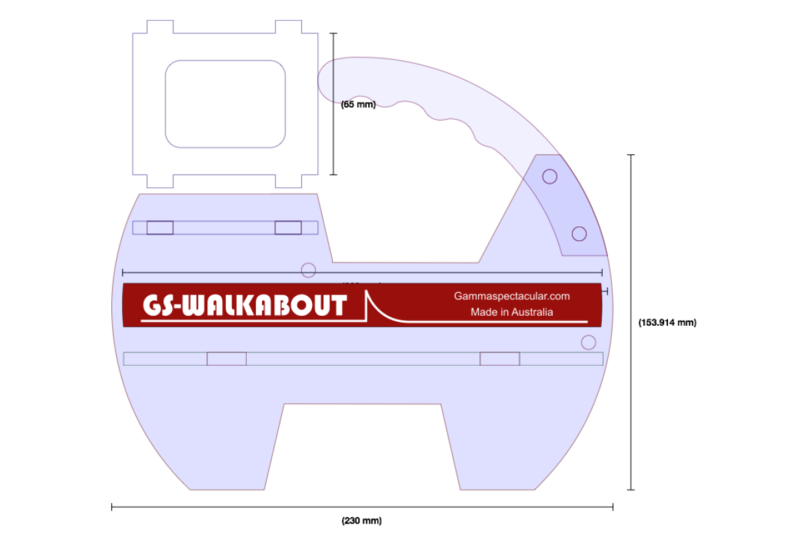 The Walkabout includes a built in iPhone adaptor cable and volume trim, (Mono jack to TTRS connector) this adaptor makes it possible to use the iPhone with the standard GS rangs of drivers. There is sufficient space for an optional USB battery pack under the iPhone holder (not included). 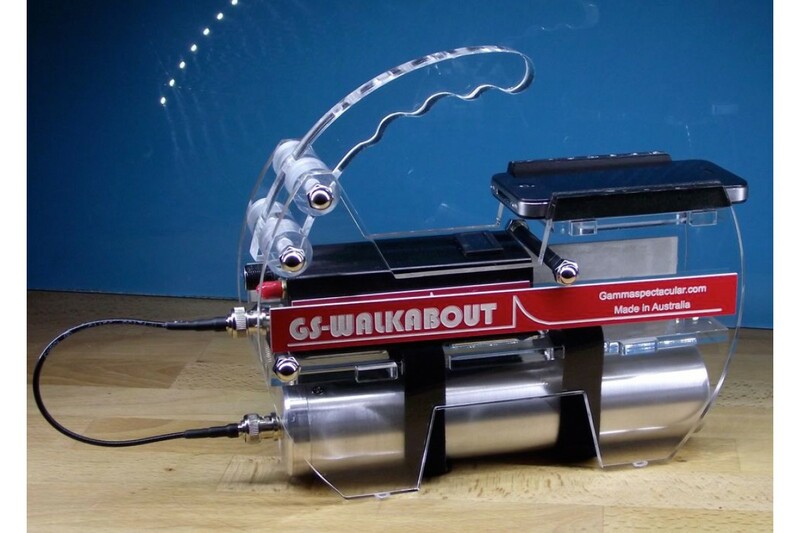 USB Power Bank with 2600mAh Battery Take your GS-1100A on a walk. Simply recharge this batte..